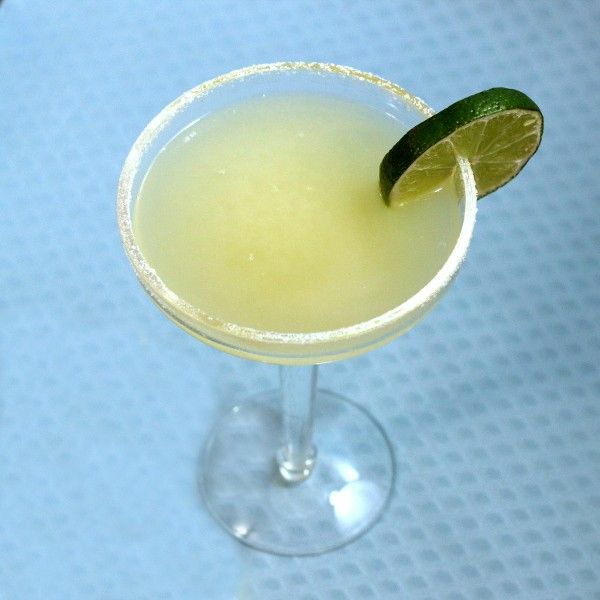 What makes the Cadillac Margarita special is the Reposado tequila. Reposado is “reposed” or calm/relaxed in Spanish – it’s at the first stage of aging for a tequila. It takes on the flavor of the wooden barrel in which it ages, and that gives it intriguing oak notes along with the agave flavor. Add to that some orange liqueur and lime juice, and you’ve got yourself a very nice cocktail. This drink tastes pretty much like a traditional margarita, only better. There’s just something special about the Reposado. Rim a margarita glass with salt. Fill a cocktail shaker with ice and pour in all the ingredients. Shake well until chilled, and strain the mixture into the glass. Garnish with lime wheel.